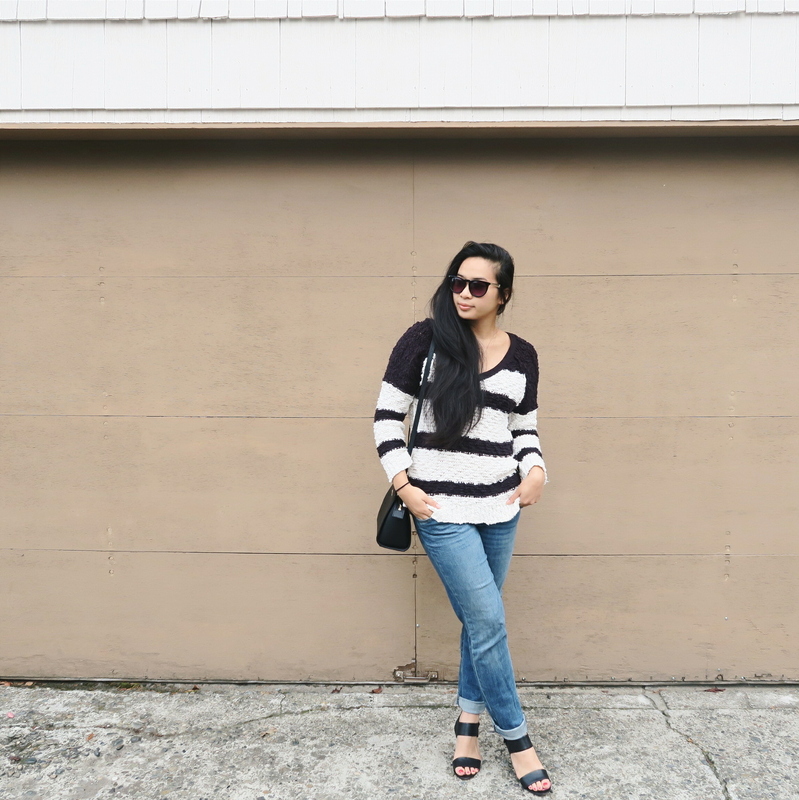 I've had this Free People sweater for a couple years now but it's always a clutch when the weather gets warmer. The black and white stripes make it easy to wear and the soft knit is really warm. Since I still have to ease my way into tighter clothing (haha), I paired the sweater with a more fitting pair of boyfriend jeans from STS Blue at Nordstrom. 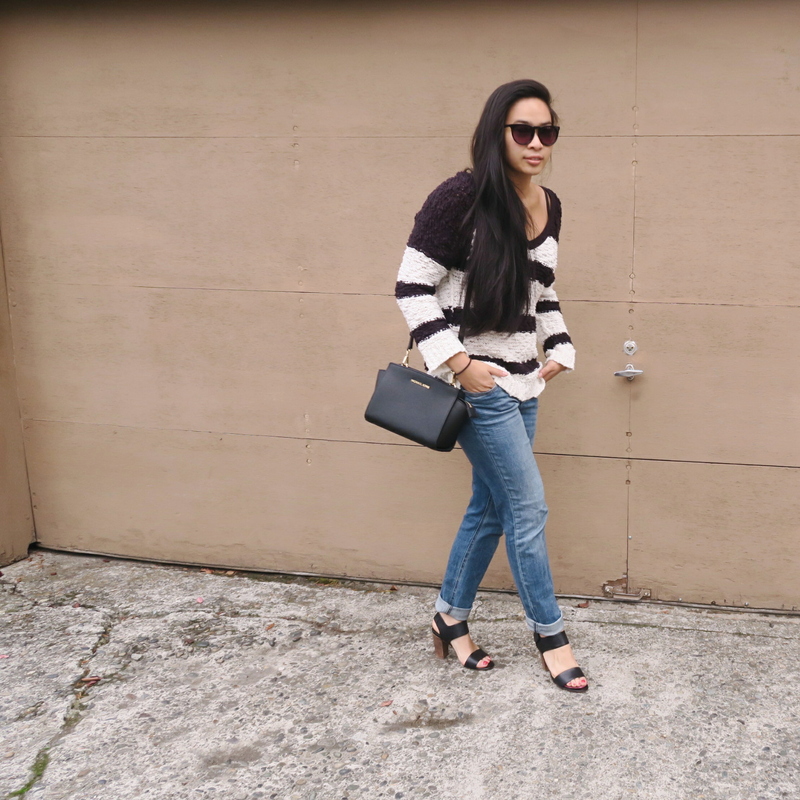 To pull the look together, I put on one of my favorite pairs of chunky black heels from Steve Madden. 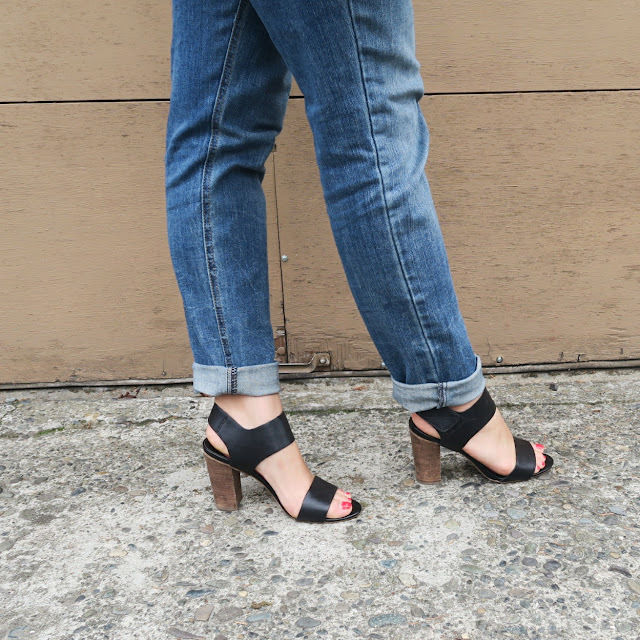 The velcro strap make it easy to pull on and off and the chunky heel makes it way easier to walk in than the typical ankle strap sandals. I've also been slowly getting in to purses and bags and am getting more and more used to them in larger sizes. 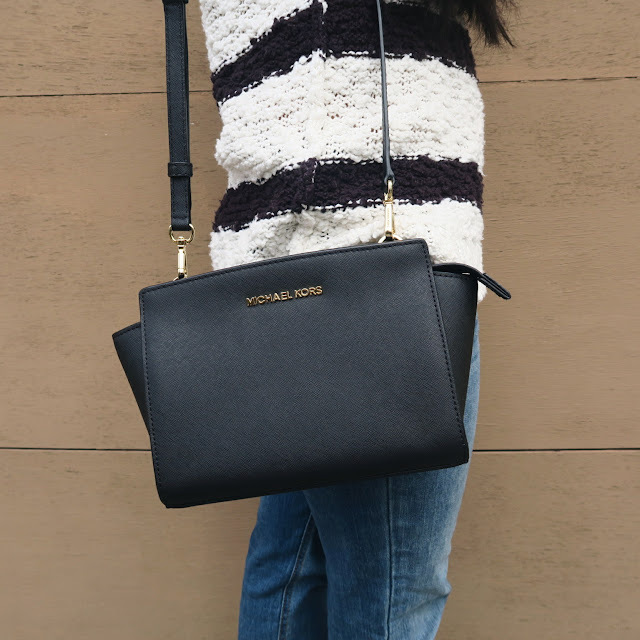 This Michael Kors MICHAEL Medium Selma Crossbody Bag is a perfect in-between where it isn't as big as those larger totes, but not as small as a typical cross body. And the best part? 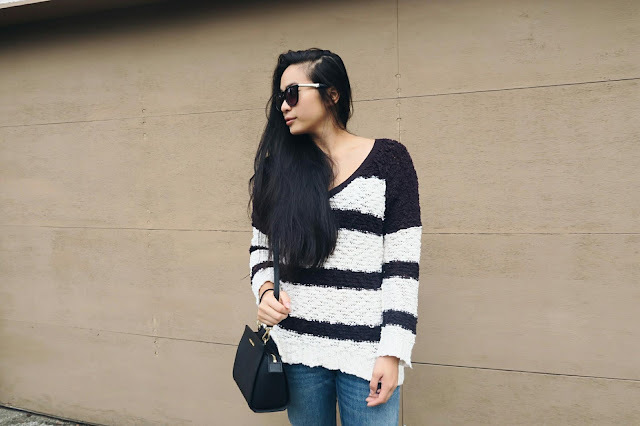 It's currently on sale now at Nordstrom! 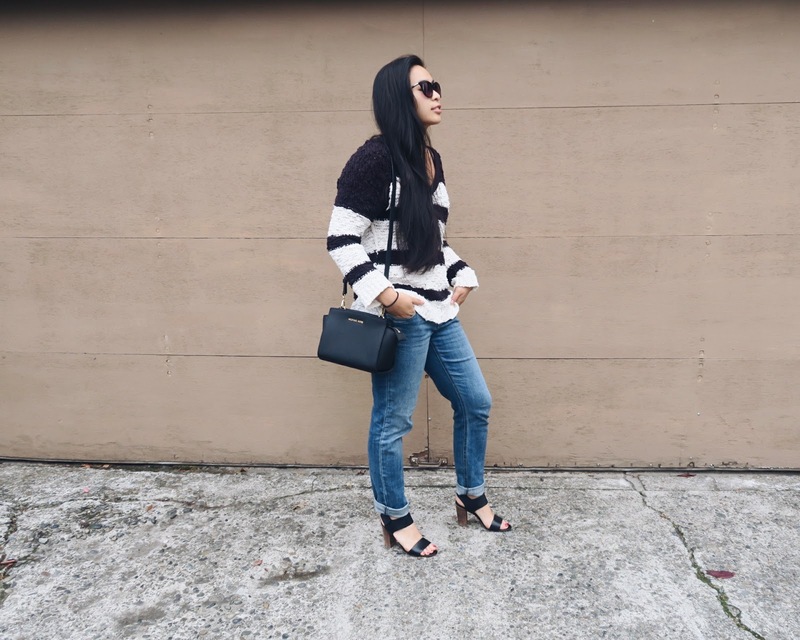 The black color makes it versatile and easy to match with everything. I bought this bag earlier this year as a present for my mom but she still lets me borrow it time to time =) What I like about these bags and the leather is that you don't have to be too careful around it and worry about scratches and rain, especially if you apply the protector before it. Did you know that you can create short links with BCVC and earn cash for every click on your shortened urls.